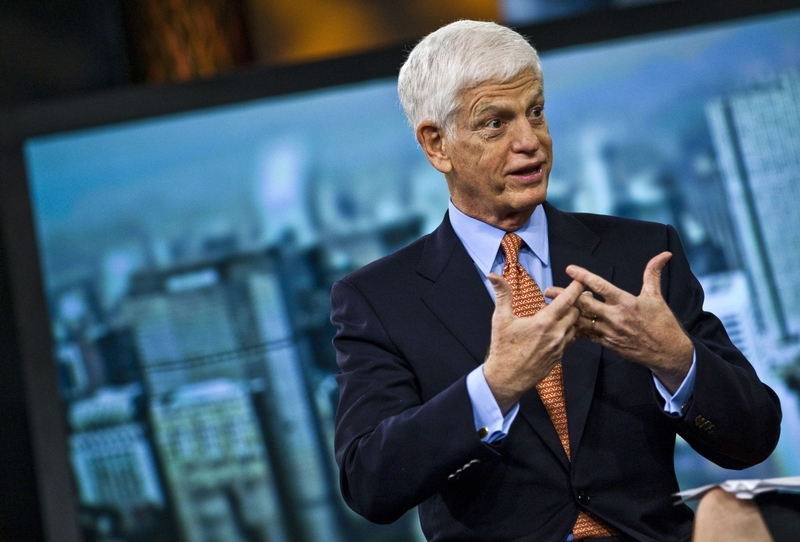 Mario Gabelli, chairman and chief executive officer of Gamco Investors Inc., owns 9.17 percent of National Fuel’s stock. He says his proposal to spin off the utility business from the others is “a question of enhancing the underlying value of the company.” “Right now, we think National Fuel Gas at $70 is significantly undervalued.” – Investor Mario Gabelli, the second-largest shareholder in National Fuel Gas Co. Prominent investor Mario Gabelli, the second-largest shareholder in National Fuel Gas Co., is pushing the Amherst energy company to spin off its utility business from the company’s oil and natural gas drilling and pipeline businesses. Gabelli said he is thinking about submitting a proposal recommending that the utility business be split off from National Fuel’s pipeline and drilling businesses that would be put up for a vote at the company’s next annual shareholder’s meeting, which likely will be held in February or March of next year. And because Gabelli’s investment company, Gamco Investors, owns 9.17 percent of National Fuel’s stock, second only to the 10 percent stake held by the Vanguard family of mutual funds, his interest in splitting off the utility business isn’t something that the energy company’s management can easily ignore. National Fuel’s stock, which has gained 22 percent over the past year, closed Friday down 22 cents, or 0.3 percent, at $72.59. To Gabelli, National Fuel’s three main businesses, while all deeply rooted in the natural gas industry, each has unique characteristics that appeal to different types of investors. Its solidly profitable but slow-growing utility business appeals to conservative investors attracted by the company’s 2 percent dividend yield. Its gas pipeline and storage business is slightly riskier than the utility unit but has a growing appetite for cash as National Fuel expands its pipeline network to move gas from the Marcellus Shale region in Pennsylvania to gas-hungry markets elsewhere. Its oil and gas drilling business is the riskiest of all but offers the greatest growth potential because of the company’s vast land holdings in the Marcellus Shale region. As the company’s shale gas drilling operations have skyrocketed over the past six years, that part of the business has taken on a more dominant role in National Fuel’s overall scope. That shift prompted Moody’s Investors Service to downgrade some of the company’s debt earlier this week. “The growth in the unregulated businesses has impacted the company’s business risk profile,” said Stuart Miller, a Moody’s analyst, who also noted that the underlying performance of each of National Fuel’s three main businesses has remained strong. National Fuel executives declined to comment on Gabelli’s interest in shaking up the structure of the company. “Because we are in a quiet period before the release of our quarterly earnings on May 8th, we’re not in a position to have any discussion on this matter,” said Karen Merkel, a National Fuel spokeswoman. But Gabelli also said that he thinks the overall value of National Fuel would be greater if the company were separated into two or three separate pieces that would make those units more of a pure-play within their niche in the natural gas market. The notion isn’t without precedent. Oneok, an Oklahoma-based company, earlier this year completed a spin-off of its utility business into a new entity called One Gas while keeping its oil pipeline business. Tanski rejected the idea of spinning off National Fuel’s utility business last summer in comments he made shortly after Oneok announced its utility spin-off. “We’ve worked hard through the years to create a lean organization to run our regulated operations. And we believe that many synergies would be lost by divesting or separating our utility from our pipeline and storage operations,” he said in an August conference call with investors and analysts. But National Fuel executives have said they have been considering another option, which could involve shifting non-utility businesses into master limited partnerships. Those partnerships have become popular in the energy industry over the past 10 years because of the tax advantages they offer. Energy companies are drawn to master limited partnerships because they are not taxed at the federal level, which lowers their cost of capital and allows them to invest more in infrastructure, while also retaining management’s control over the business. As a result, MLPs have been especially popular for cash-generating pipeline companies. The partnerships also appeal to investors because they typically pay higher dividends than a typical company and frequently carry a higher valuation than utility stocks. While National Fuel has shown interest in setting up a master limited partnership, Tanski previously has said he thinks the company can meet its immediate capital needs through its existing structure. He has said the company’s interest in an MLP would increase if natural gas prices rise, spurring further shale gas production and accelerating the need to build costly new pipelines.